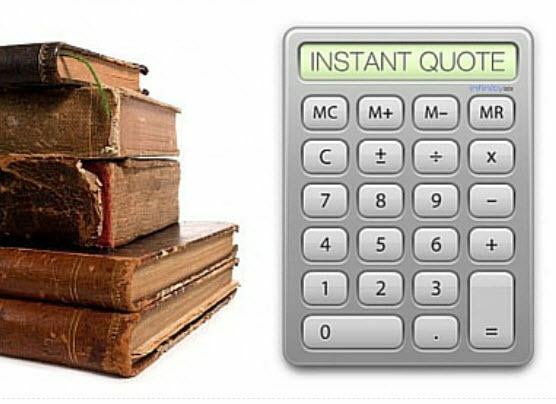 Need a Book Scanning Quote? What does it cost to scan a book? Large Scale – It depends on the volume of the collection to some degree. We need to contemplate the archive in its totality – the range and sizes of books and the required project duration, including whether we use one or two shifts and we also need to consider all that the project might entail. The cost calculator on our website gives you a simple costing tool. Enter in the approximate quantity of pages and that will give you a good idea of the predicted cost. The cost calculator does not take into account everything about the characteristics of what your collection contains. This could include indexing that may be required, is it a handwritten volume or whether we are introducing OCR to create a searchable record. Nevertheless, it will give you a very good approximation of what you are up for. Obviously, you can give Microsystems a call and walk us through what you have. We’ll then come back to you with a prediction of cost via a quotation. From a bottom-line perspective, we’ve got a minimum invoice charge of $66.00 , for the generation of an invoice. If you looked at around 45 cents per page, at a low volume, that’d be a good ballpark. Other costs could include File Indexing, OCR, DVD supply, pickup and delivery. Books that can be de-spined are much cheaper to scan and this calculator does not apply. Please contact us for a more fitting quote.